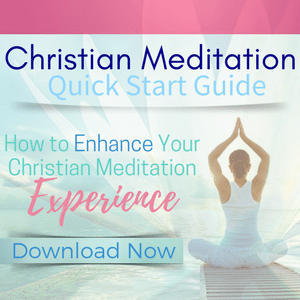 Are you ready to start or deepen your Christian meditation practice? 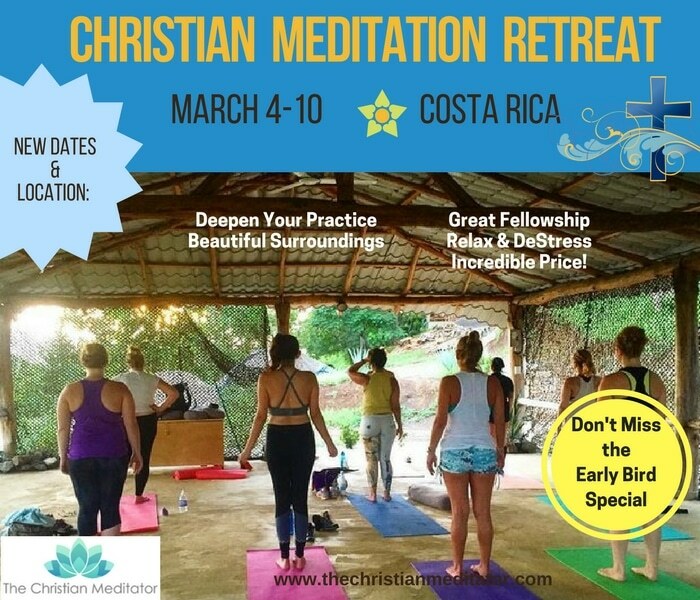 If so, you’ll love this Christian meditation retreat! In the beautiful country of Costa Rica you’ll spend time connecting with God with other like-minded believers. Come and break free from the distractions and busyness of life where you can relax, release, and reset your life. You’ll also enjoy Christ-centered yoga and variety of other activities to transform your heart and nurture your spirit. We all need extended times to get away, clear our minds, and dwell in God’s presence. Come for the adventure of a lifetime! Prices for this trip are incredibly affordable and include lodging, all meals (at the center) and workshops/classes along with materials. 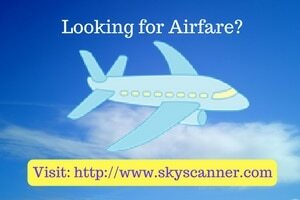 Price does not include airfare. Coming alone? No problem, you’ll be matched up with a roommates. Couples welcomed. 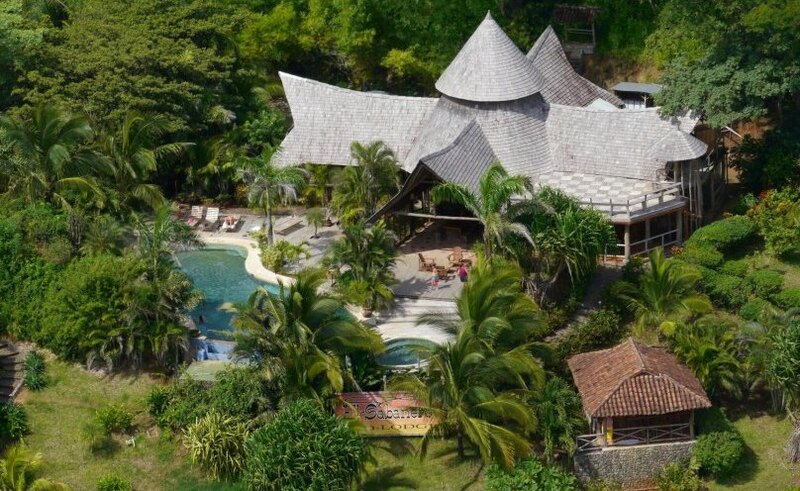 Join me in the quiet and beautiful Cañafistula Valley in Costa Rica where we will be in the midst of 4 of the most popular and beautiful beaches in the area, travelers can choose any aspect of the Costa Rican landscape to enjoy while here. 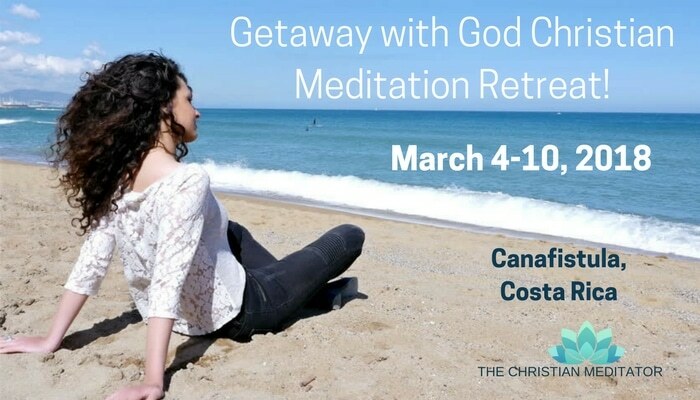 You’ll received guided Christian meditation instruction (workshops), Christ-centered yoga or exercise, fresh, locally sourced cuisine, beach visits, cenotes (underwater caves) to explore, and many other activities, this trip is the perfect way to relax, release, reconnect, and re-energize. Includes transportation to and from airport. ONE BEDROOM CHALETS: The luxury cottages built from local teak in the true fashion of Costa Rica , are unique in style and quality. These spacious units are beautifully decorated and feature a queen or king size bed and additional twin beds for double or triple occupancy with fresh linens embroidered with a lovely en suite bathroom, air conditioning and a large terrace to relax in a rocking cowboy style. 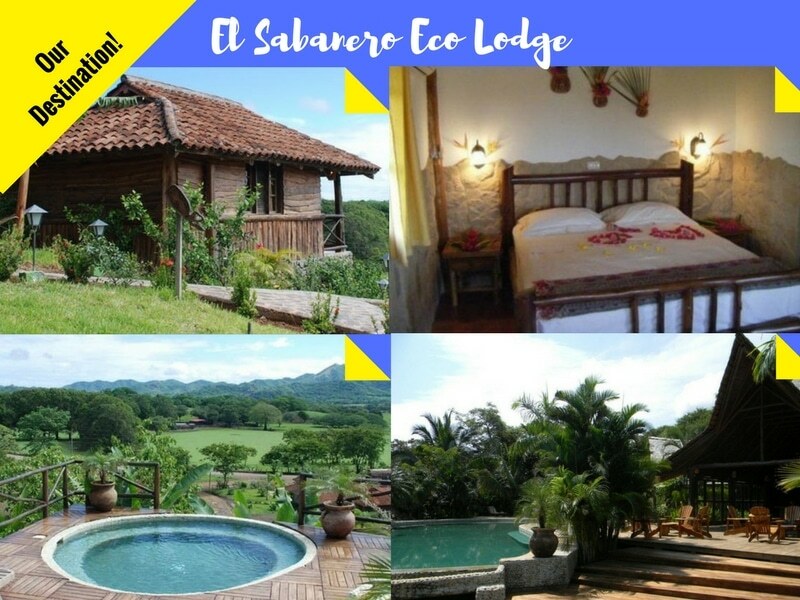 The Sabanero is equipped with wireless internet and some cottages with disabled access. Come and get refreshed in God and learn how meditating on Christ and the Scriptures will deepen your relationship with God, help you let go of stress, grow more spiritually, and maintain your peace of mind even during times of crisis. 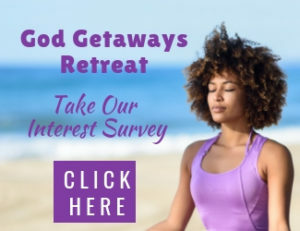 The GETAWAY WITH GOD Christian Meditation Retreat is going to teach you the life-changing practice of Christ-centered meditation, a spiritual practice that many Christians have never done before, but that is encouraged throughout the scripture. Joshua 1:8 tells believers that it is through meditating on Christ that we gain true success in life. Yet not the success of the world, the success of a loving, joyful, and thriving relationship with Jesus Christ. 10:30- Workshop: All workshops focus on Christian meditation and its techniques and instruction, establishing or deepening an authentic practice, tools for healing inner hurts and wounds, maintaining peace of mind, and eliminating stress along with guided practice. 6:00- Roundtable: All workshops focus on Christian meditation and its techniques and instruction, establishing or deepening an authentic practice, tools for healing inner hurts and wounds, maintaining peace of mind, and eliminating stress along with guided practice.